Architecture has long held a reputation of monopolising space without typically caring for existing elements. Uprooting a tree and thoughtlessly mounting a building in its place is a simple job, but paying respect to nature and integrating it into architectural processes takes creativity, skill and a conscience. 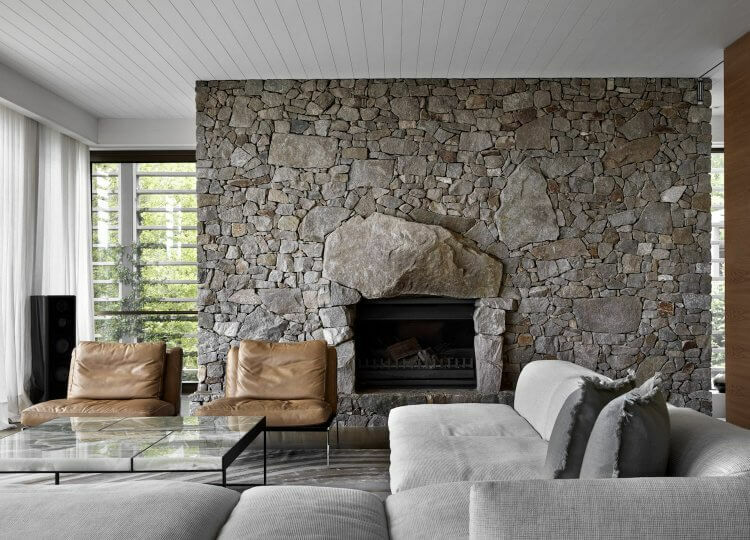 When we come across a home that defies that reputation, it doesn’t take long for it to become a firm favourite here at est. 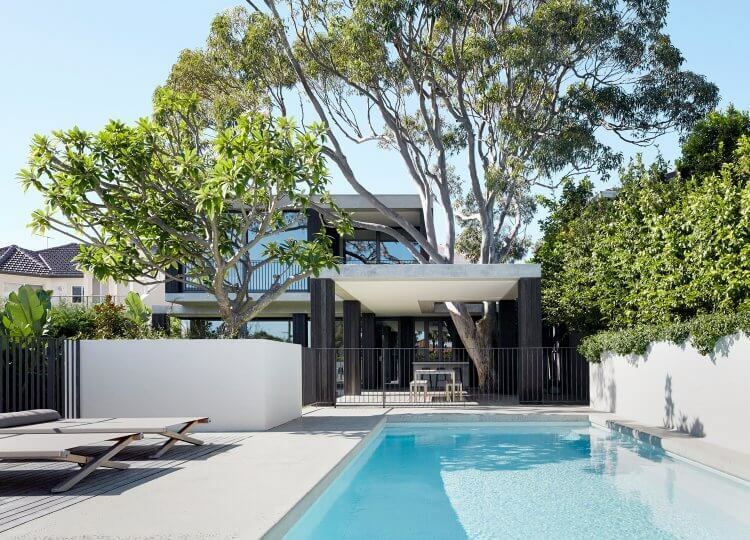 Enter the renovated Hopetoun Avenue residence in Vaucluse, a bayside suburb of Sydney. Designed by the award-winning team at B.E. 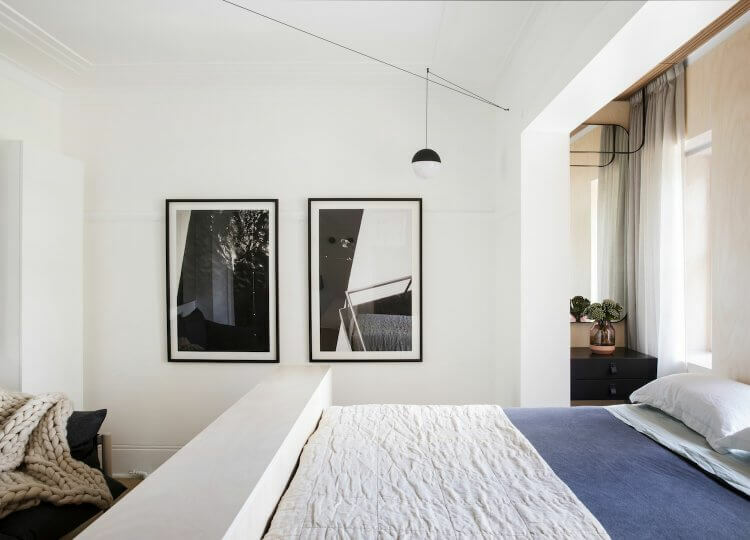 Architecture, the Hopetoun Avenue residence is a period home that wanted to undergo a modern facelift while staying true to its roots. 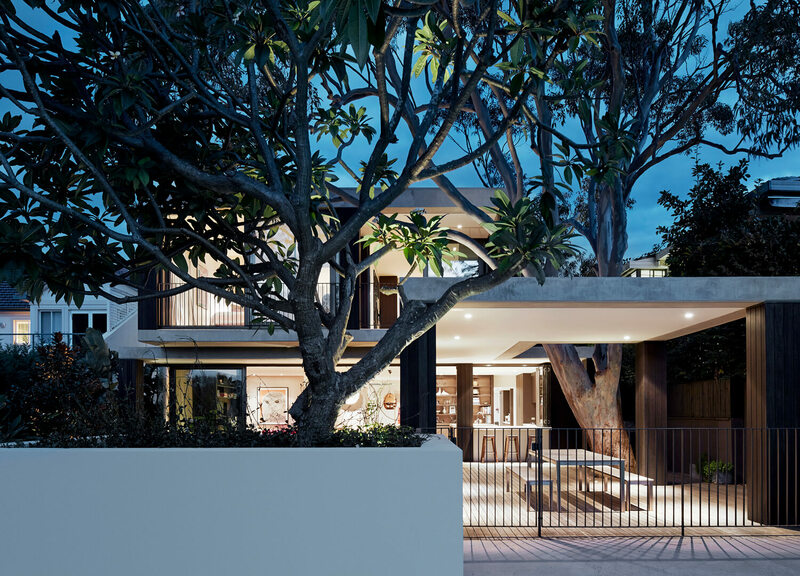 The handsome gum tree that cascades over the property was undoubtedly its focal point so B.E. 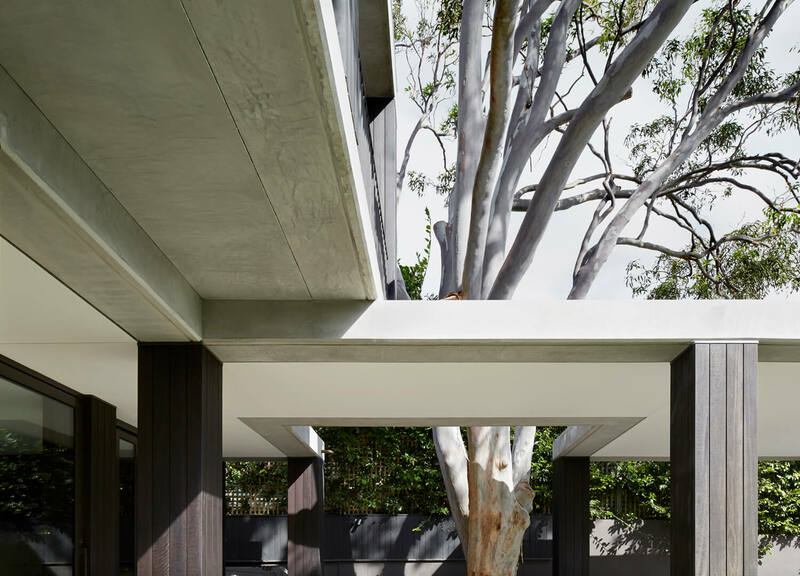 Architecture intentionally used thin concrete to respect the tree’s organic curvature as well as maintain the structural integrity of the site. 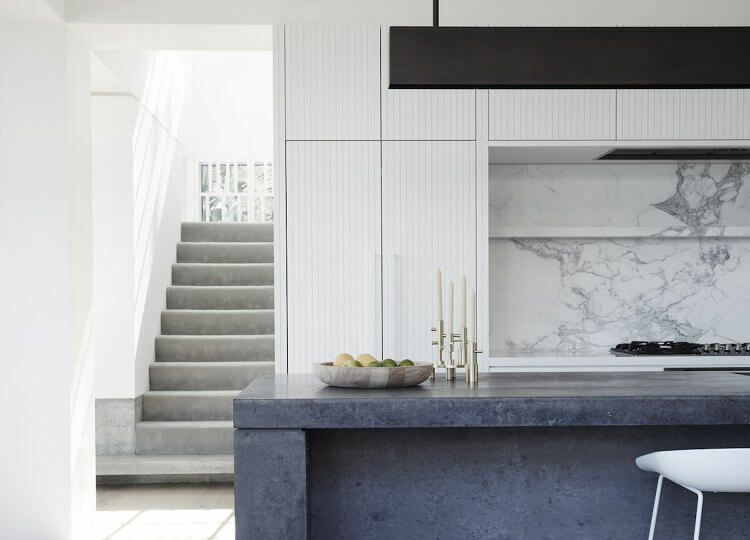 On the first level, earthy materials like timber and sandstone are generously used in the home’s new extension while floor-to-ceiling windows allow for an influx of natural light into the interior spaces, creating an effortless harmony with its natural surroundings. 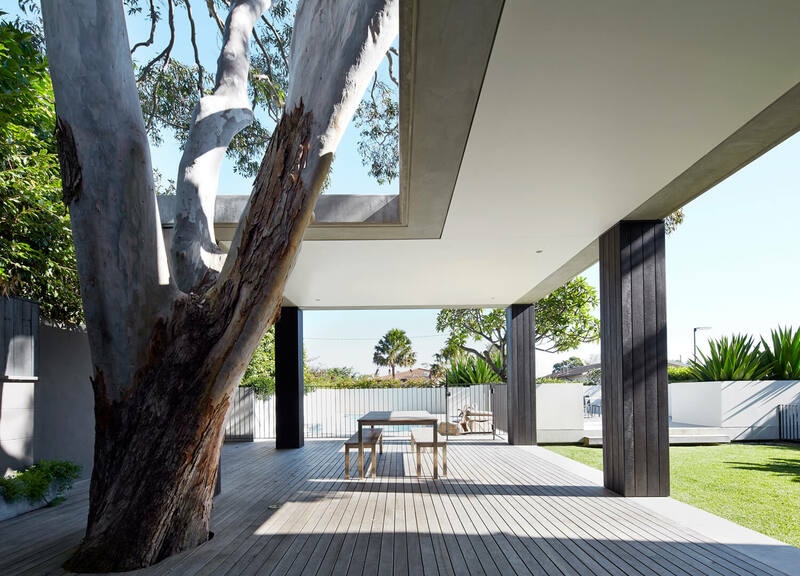 An ash-grey timber deck seamlessly surrounds the tree trunk and stretches out into the expansive suspended platform, which houses a pool and a grassy turf. 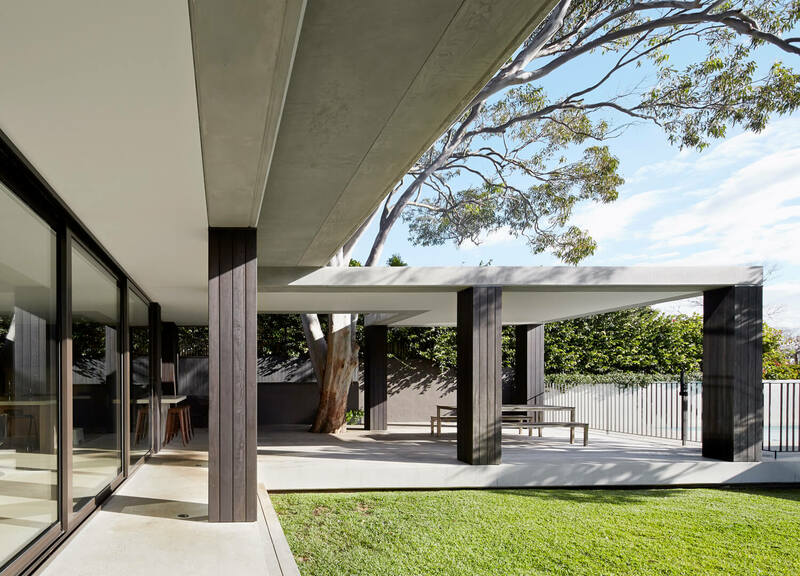 The uppermost level of the residence is held up by rows of dark timber-clad pillars, adding a pleasing contrast to the dominant palette of whites and greys. 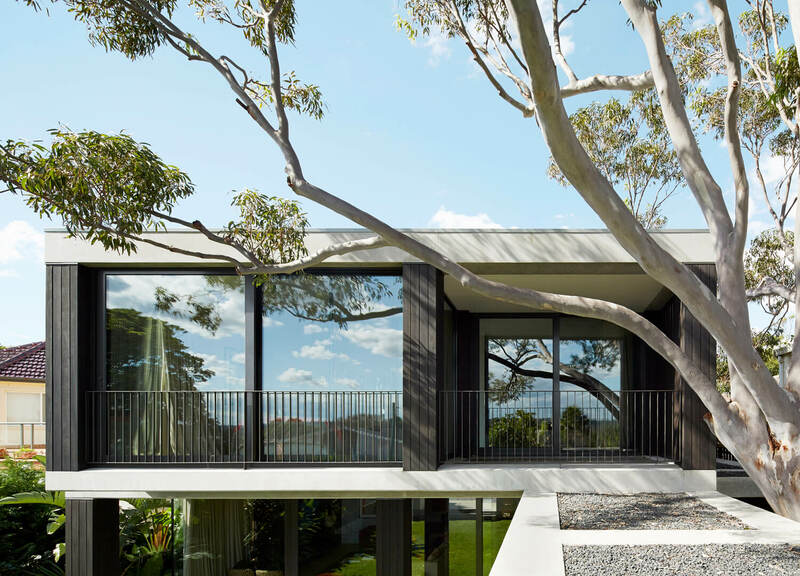 The gum tree towers above an L-shaped roof, offering plenty of shade from the scorching sun and, at the same time, making sure to allow for unobstructed views of Sydney Harbour from the glazed balconies. 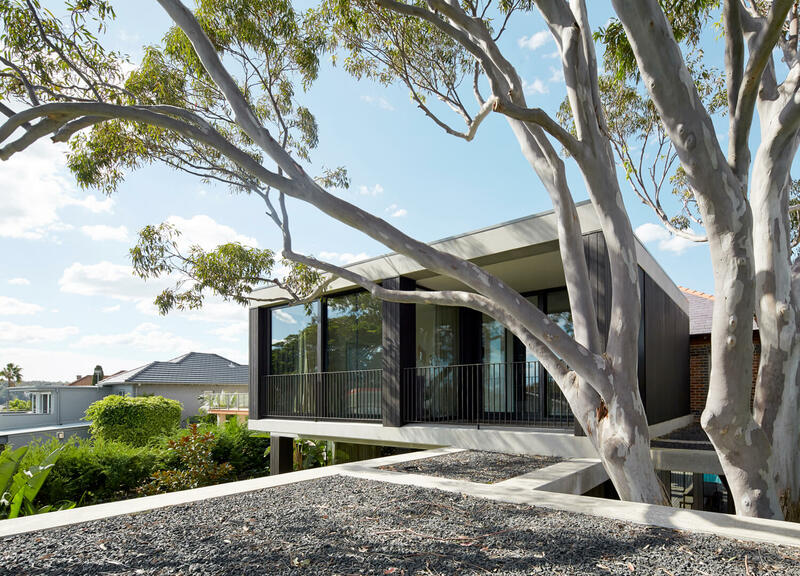 While the angular form of this Hopetoun Avenue residence certainly hoists the property into the 21st century, its architectural approach was firmly rooted in the old, paying homage to a gum tree in the peak of its maturity and paving the way for a healthy relationship between design and nature. 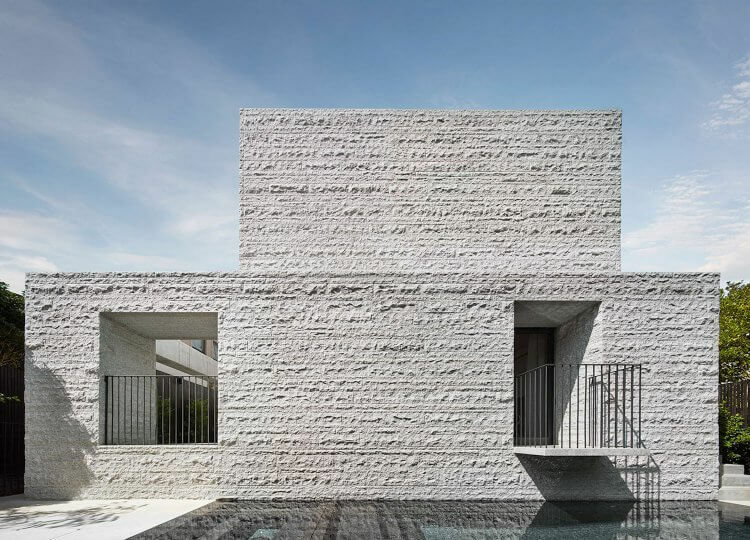 The suspended platform provides a pool and a grassy turf, which is granted privacy by a low perimeter wall and accompanying hedge.